Federal regulations require that a fiduciary of an estate or trust file a tax return on behalf of the estate or trust with the Internal Revenue Service. Such a return must report income or losses of a decedent's estate or trust, as well as the amount of money available for future distribution to beneficiaries, tax liability of the estate or trust, and employment tax on wages paid to certain household employees. 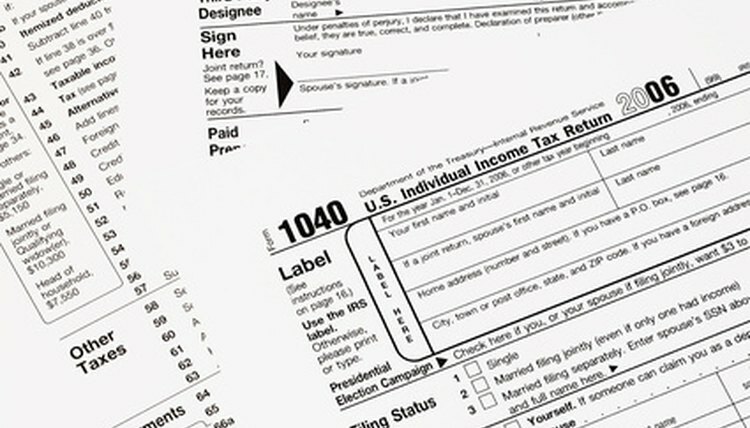 When filing its tax return, an estate or trust uses IRS Form 1041. Gather all documents and information related to the estate or trust for the tax year for which you are filing Form 1041. Make and save at least one copy of everything in case of an inquiry or audit by the IRS. Download Form 1041 and the corresponding instructions from the official IRS website, or obtain a hard copy from any IRS district office. You may also order tax forms directly from the IRS by calling 1-800-TAX-FORM (1-800-829-3676). Read the instructions for Form 1041 carefully, and keep them nearby for reference. Fill out Form 1041 and any required schedules (supplementary forms) according to the instructions. Calculate the amount of any tax due or the amount to be refunded, and enter it on the appropriate lines of Form 1041. Sign and date the form, and make and keep a copy of the signed and dated return. File Form 1041 online using the IRS E-file system, or file by regular mail. If filing by mail, include a check for any amount due, payable to the United States Treasury. If you use E-file, you must provide bank account or credit card information if any tax is due. Andrew, Mike. "How to File Form 1041." , https://legalbeagle.com/5534642-file-form.html. Accessed 22 April 2019.